The East Coast return of both lightweight sensation Michael Perez and junior middleweight phenom Eddie Gomez is approaching rapidly and with the anticipation rising for their respective Friday, August 19 bouts in the Bronx, New York's Paradise Theater, these prospects will be tested by opponents looking to spoil their homecoming. In the 10-round main event, Newark, New Jersey's Perez will face Manhattan's Miguel Rodriguez and in the six-round co-feature, Bronx native Gomez takes on Rochester's Marcus Hall. Fans at home can also be part of the action by participating in Cinturón Tecate and voting for the fighter in the main event who displays the most character in the ring by sending a text message to 55333. Voting will be open through the end of the weekend. 21-year old Michael "The Artist" Perez (13-0-1, 7 KO's) is a former National Golden Gloves winner whose professional career is looking just as golden thus far. 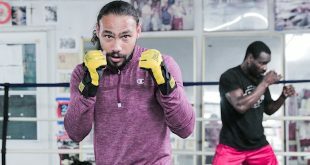 He is unbeaten in 14 fights and is currently riding a streak of three consecutive wins in his family's native Puerto Rico where he has become a fan favorite. Last December, he fought in the "Sólo Boxeo Tecate" Fight of the Year in a classic eight round battle with Jose Hernandez. In May, Perez nabbed his 13th win with a third round stoppage of Ira Terry and now he has his sights set on impressing his local fans in his New York showdown on August 19. Ponce, Puerto Rico native Miguel Rodriguez (7-3, 3 KO's) now represents his New York City turf proudly and he's not about to let Perez come in and take over later this month. Winner of five of his last seven bouts, with his only losses coming to 7-0 Guillermo Sanchez and 14-0 Mike Faragon, the 26-year-old Rodriguez has been training hard for his moment in the spotlight and will be ready for one of his toughest tests to date against Perez. Six days before his 19th birthday, teenage phenom Eddie Gomez (5-0, 4 KO's) will get an early present as he gets to fight in his hometown for the first time as a professional. A stellar amateur who has brought his talent, speed and power to the junior middleweight division as a professional, Gomez has impressed all who have seen him thus far. He has racked up three first round knockouts already and has delivered a jolt of fear into his prospective opponents. 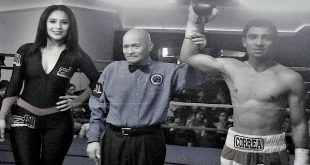 Not willing to back down against Gomez, is 21-year-old upstate New Yorker Marcus Hall (5-3-1, 2 KO's). 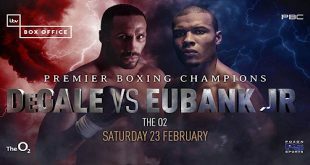 A professional since 2009, Hall has won two of his last three fights, with those victories coming over unbeaten Llyas Aksabaev and 5-1 Stephen Scott. It's clear that he's a scrappy competitor who will give Gomez all he can handle from bell to bell. 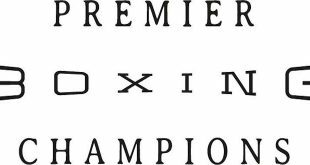 The night of world-class professional boxing is presented by Golden Boy Promotions and Joe DeGuardia's Star Boxing and sponsored by Cerveza Tecate, DeWalt Tools and AT&T. Doors open at 7:00pm ET and first fight begins at 7:30pm ET. TeleFutura's "Sólo Boxeo Tecate" will be broadcast at 11:30pm ET / PT (10:30pm CT).